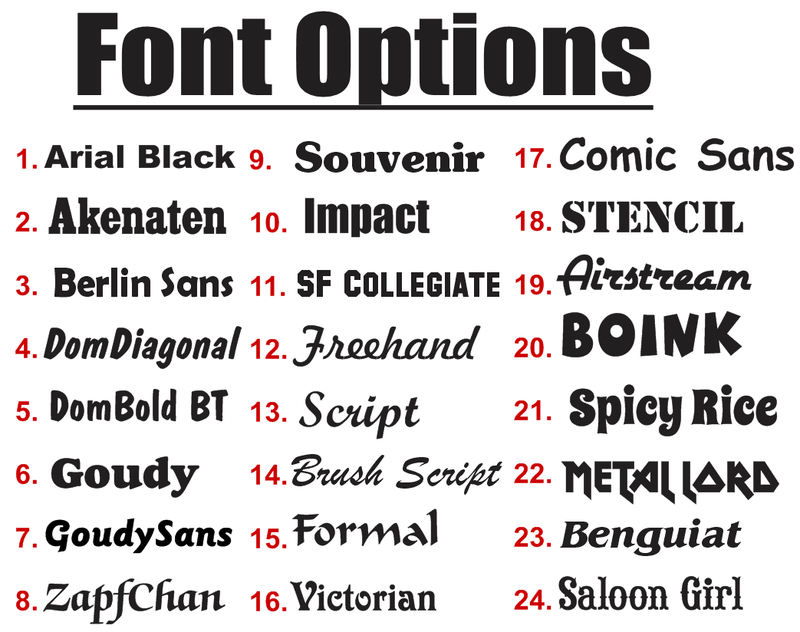 Choose the font you want, the color and the size. Sizing is by how tall the decal will be according the the largest letter. Like all our custom work, actual human beings will design your decal. An image of how your custom decal will look will be sent to you before it is shipped. Excellent customer service. Got us exactly what we wanted 5uct is great quality. Will do business with again. Just lovely work! I am and will always be a repeat customer. Just great work and fair pricing, gets to me quickly! Thank you all so much! Great communication and response to email. I ordered a custom sticker, but had some difficulty send it. I left an email for NS and got a reply in less than 12 hours resolving my problem. Awesome customer service. And I got my stickers in within 3 days. Will definitely use NS again.